"I have severe doubts that we can support even two billion if they all live like citizens of the U.S. The world can support a lot more vegetarian saints than Hummer-driving idiots." "Both Dr James Lovelock FRS (Gaia hypothesis) and Professor Kevin Anderson ( Director, Tyndall Centre for Climate Change Research, University of Manchester, UK) have recently estimated that only about 0.5 billion people will survive this century due to unaddressed, man-made global warming. 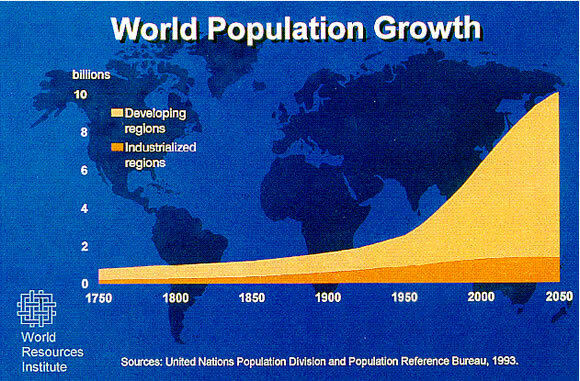 Noting that the world population is expected to reach 9.5 billion by 2050, these estimates translate to a Climate Genocide involving deaths of about 10 billion people this century, mostly non-Europeans, this including about 6 billion under-5 year old infants, 3 billion Muslims in a terminal Muslim Holocaust, 2 billion Indians, 1.3 billion non-Arab Africans, 0.5 billion Bengalis, 0.3 billion Pakistanis and 0.3 billion Bangladeshis. Already 18 million people die avoidably every year in Developing countries (minus China) due to deprivation and deprivation-exacerbated disease and man-made global warming is already clearly worsening this global avoidable mortality holocaust. However 10 billion avoidable deaths due to global warming this century will yield an average global annual avoidable death rate of 100 million per year"
...errr... SO WHAT?!!!... Look around guys! There are more than 7 billions of us at this poor planet and we are consuming it. More people means need of more resources for food, more fields, more coffins. 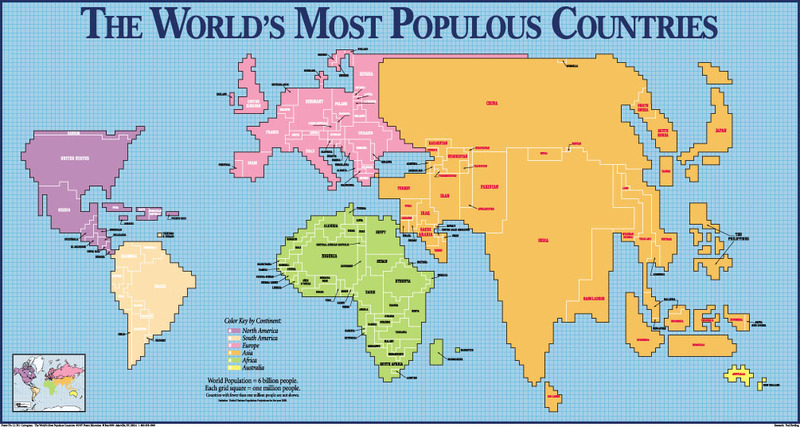 There is an OVERPOPULATION and you don't have to be genius to notice it! If so called Global Warming or Climate Change will lead to major human population decrease than it's a blessing, not a blight! Who is responsible for overpopulation? - Developing countries... I assume that it would be not fare if "..the most of them would be Europeans..." If by the end of the century there will only 0.5 billion people remain, than we will just fit to our planet's capacity for the humans (taking into account that some of us consume more than others). Back to the so called climate change. I'm environmentalist, so I'm pleased that there are a lot of activities about ceasing of the green house gases emission. But on the other hand I'm scientist, not a climate scientist, but environmental one (I'm ecologist and geographer), so I my opinion is that CO2 is not the threat we must fight with. I have some scientific subscriptions and it is always painful for me to see that the major part of the world's environment research are dedicated to this "problem" of climate change. People could do the real job, but it is easier to find founding for the "climate change" research... A fellow misanthrope wrote a nice post about this political game. And you should see the video on that page. Finally here you are another site of an open-minded person about overpopulation (with some awesome quotes by the way).